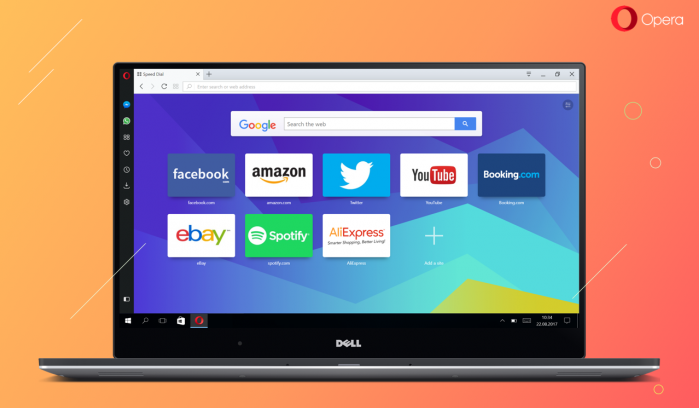 Opera 48 is now available to install. It comes with a few nice features that make it different from the last. With it, you get a new screen capture tool so you can easily take screenshots without having to install any third-party software. You also get a search pop-up tool with currency converter now offering unit and time zone converters as well, plus a few more extras that should ring a few of your cherries. Time zone conversion is a feature that most of you will probably already get with your modern day operating systems such as Windows 10 anyway, but it’s still nice to know that Opera also is looking out for you just in case something goes wrong with your operating system. It is possible that your clock in Windows is out and the Opera time zone tracker won’t rely on the same feature that your operating system does, so at least one of the two of them will be right at all times. We know that because the chances of just one of the two of them being wrong is very slim as it is. The standout feature, at least in our opinion, of Opera 48 is the new screen capture tool. Some of these tools, if you wanted to have a good one, request a lot of money before you can install them. It’s not uncommon to have to pay somewhere in the vicinity of $50 for a great screen capture tool, so getting this thrown in for free is perfect for Opera users. 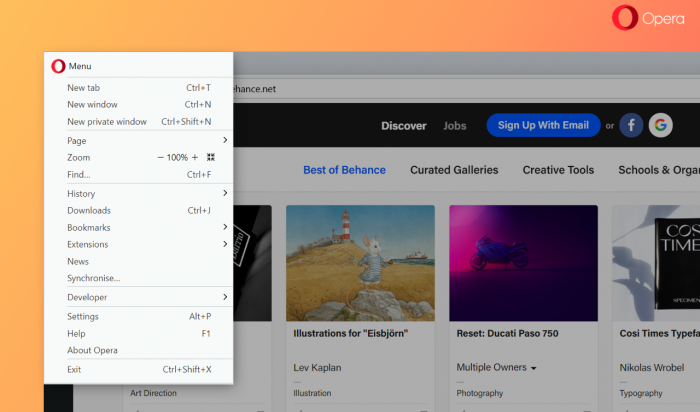 The snapshot tool was first released with the Opera Neon browser concept earlier in the year. Now after you’re running Opera 48, you can find the new snapshot tool available from the Menu. It isn’t always an option to head to the Menu when you want to take your screen captures though because you might be doing something around the operating system that if you were to click on the Menu, it would change what’s on the screen. Opera have thought ahead and offered another way you can capture the screenshots also: by using the Ctrl + Shift + 5 keyboard shortcut. Most tools only require two keys to be pressed on the keyboard, and three is asking a lot from your hands, but at least two of them (Shift + Ctrl) are positioned right next to each other on the keyboard, so it isn’t too bad. When using the snapshot tool, you’ll get a faded/darker background surrounding the part that you have not chosen to capture, so you can easily tell the part that you are capturing. The rest is just like any other screen capture tool: start with one of the outside edges that you want to capture and then expand and the tool will automatically capture the other sides, so it’s even on four sides. The snapshot tool also makes it easy to recapture what’s on the page by just clicking in the darker area of the background if you want to do it again, so you can’t have to press the keyboard combination, or head to the menu so corrects your mistakes. The O-Menu is now reordered, so things are more logically pieced together. Most notably you can now easily find your bookmark-related stuff like importing and exerting available from the bookmarks submenu. Opera has also made some other changes to your bookmarking capabilities. You can now import bookmarks from Microsoft Edge and Yandex to Opera 48 whereas before you couldn’t. The only compatible browsers up until now for importing the bookmarks were Google Chrome, Mozilla Firefox, Safari, and Microsoft Internet Explorer. There are some other features packed inside this Opera 48 update as well. A significant portion of the Opera users tend to be using Mac operating systems, and the latest major Mac software version that rolls out only once a year is the High Sierra. The High Sierra version of Mac’s operating system will be available on more HiDPI displays than ever before, and Opera has now integrated support for those, so your pictures remain sharp at all times. Opera 48 helps unwanted cleanup suggestions. Suggestions have been around for years now, helping people across all good web browsers open a webpage that they have already visited quicker by not requiring them to type the full name if it’s a name that the browser can remember you’ve already visited. Sometimes the sites you have visited before bringing up suggestions you don’t want anymore. The only way to tackle that issue in the past is by clearing your browser history, and then the suggestions start all over again. It’s still that way for just about every browser, including Google’s Chrome. Opera has created a feature now where you can delete one of the suggestions, so you don’t need to go to quite as much trouble and delete the history entirely.